Uber, the app-based limo service, has launched in Newcastle upon Tyne, and is offering new customers £15 off their first ride with a special promotional code. Using the GPS location technology found in smartphones, Uber matches passengers and drivers to get a car where and when a rider needs one as quickly as possible. And, by constantly monitoring user patterns, Uber aims to be ahead of the game by guiding cars towards the areas of highest demand before they’re even called. Uber is a cashless system which charges rides to registered credit cards, and also offers the option to split fares between riders. 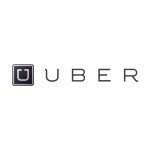 The Uber app is available for iPhone, Android and BlackBerry devices, and registration is also possible from the desktop site at uber.com. To benefit from the Uber Newcastle £15 first ride credit, download the app, register and use promotion code: NEWCASTLELAUNCH. New UK users outside the North East of England can also benefit from a £10 first ride credit by registering at the special link: https://uber.com/invite/ubercontinentalclub. The £15 and £10 credit offers are not, unfortunately, combinable, and please note that sign-up bonuses can be varied at any time by Uber. Please check the amount shown during the registration process.